Login to request items through the Burritt Library's Interlibrary Loan System. Answers your questions about how to access the Burritt Library's resources from home. Ask additional questions not addressed here. In addition to borrowing materials from the library's circulating collection, we offer students a number of services and resources to aid research and learning. The information that follows explains the privileges extended to current CCSU students. You must present a current CCSU (BlueChip) ID at the Circulation Desk located on the Main Level to take out materials. You may have a maximum of 25 items checked out at one time. Most books may be checked out for four weeks and renewed twice if not on hold for another patron. Materials from the Media Room, such as CDs and DVDs, may be checked out for two weeks and cannot be renewed. A fine of 10 cents per day, per item will be charged for overdue materials. CCSU doctoral students may borrow books from the circulating collection on a semester basis. All music CDs, videos, DVDs, and software circulate for 2 weeks. Lost or damaged material - current replacement cost, plus a $25.00 processing fee per item. Out of print books, $75.00 for hardcover, $50.00 for paperback. Registration and/or transcripts may be withheld until the account is settled. Logging into your library record allows you to view what books you have checked out, renew books, view digital course reserves, and access subscription databases and e-journals at home. Use your CCSU email address and password. Course reserves are located at the circulation desk on the library's first floor. Assigned readings and other materials for a class are put on reserve in the library so that all students have access to the material. Books, photocopied material, class notes, videos, audio cassettes, CDs, etc. are available for short term loan. Overdue reserves are fined at $.50 per hour or day depending on the loan period. Some reserves are also available electronically. You will need a valid BlueNet ID and password, and Adobe Acrobat Reader or Windows Media Player if you are using audio reserves. See the course reserves web page for information about accessing and using course reserves. The library offers a number of ways to get help with research. Please refer to the Ask-A-Librarian page for more information. Study rooms for 2-10 people are available for faculty and staff on Stack 5 of the library on a first come, first served basis. You can use e-journals and research databases directly from the Burritt Library homepage . When you click on any of the database links, a new window will open asking you for your CCSU email address and password. Go to the Accounts Management page if you need to activate, reset, or retrieve a BlueNet account. 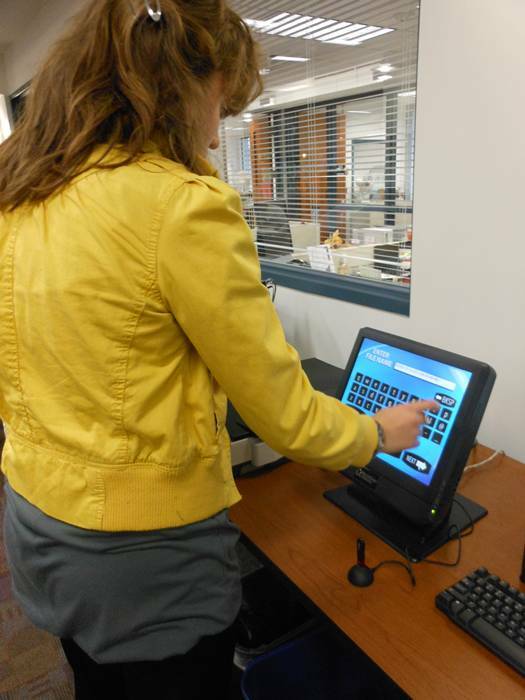 Most computers in the library require a CCSU BlueNet ID for logon; however, there are a few guest computers located on the first floor as well as stack 6 and stack 8 that do not require a logon. All computers have Internet access and the full complement of subscription databases and E-journal collections. The library is now a wireless access zone. Please refer to the FAQ on setting up wireless access on your notebook computer. Instructions are available for both Windows and Macintosh platforms. Students may photocopy or print from computers in the building. The cost for both services is .10 per page for black and white and .65 per page for color. Students are given a $10 monthly printing credit on their BlueChip cards. Color copying is also available on stack 3 for .65 per page. Since there are no coin-operated copiers in the building, a BlueChip card is needed for payment. If you need to put money on your card, there is a vending machine located on the 1st floor near the entrance. In addition to laser printing and photocopying, we have walk-up scanners on the 1st, 2nd, and 4th floor that provides fast, convenient scanning of all types of documents. The scanner features intuitive touch screen controls for easy use. Documents are saved either to a USB flash drive or by sending to your email account. 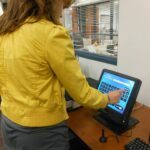 CCSU faculty, staff or student interested in borrowing circulating library material that has not been cataloged and appears in the library catalog as "1 copy being processed for CCSU stacks", may fill out the form to request rush processing. Requests for rush processing will be fulfilled in the order of their receipt. You will be notified via e-mail when the item is available, and it will be held at the Circulation Desk (Main Level) for 10 days under your name.